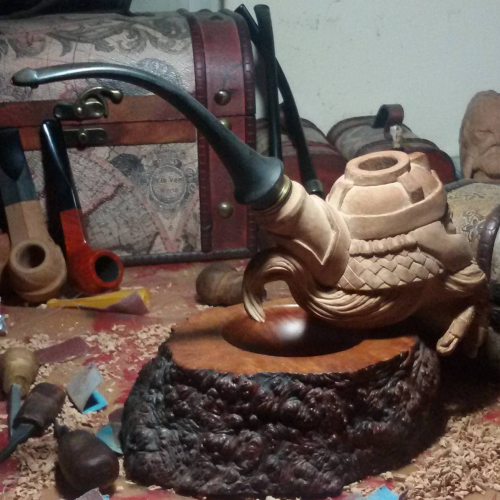 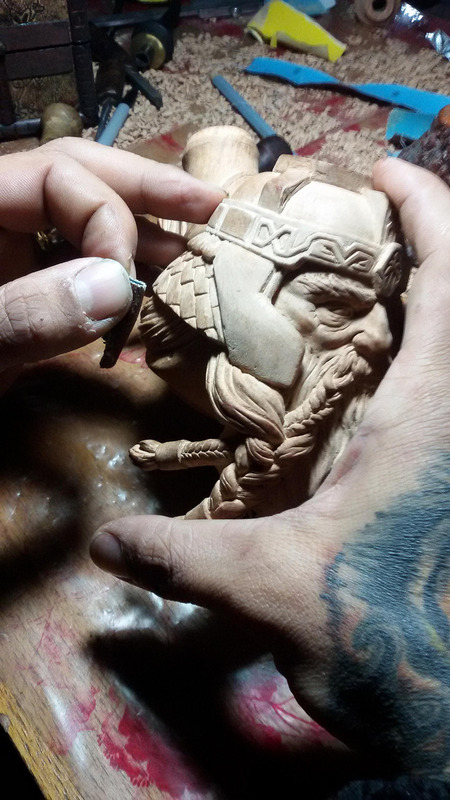 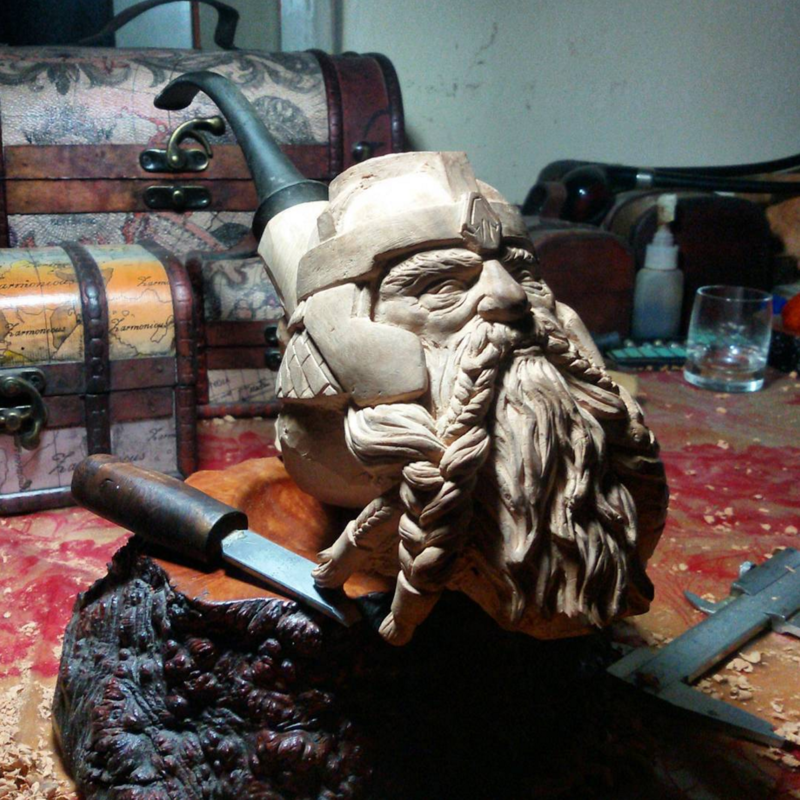 SVpipesdesign makes smoking pipes with detailed carvings on them. 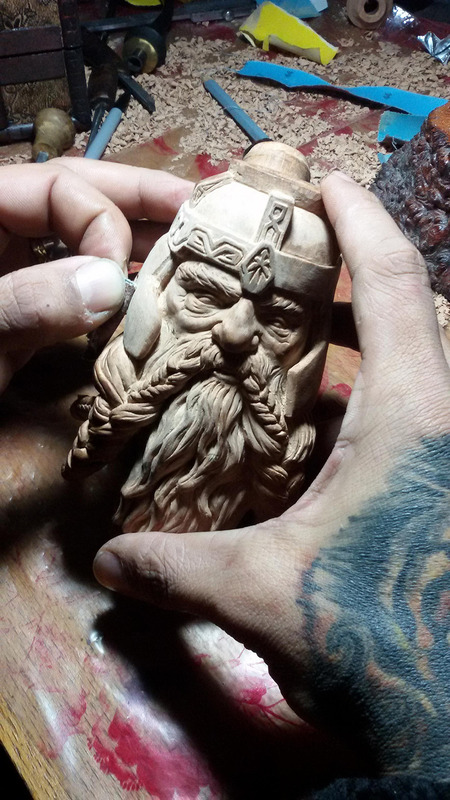 His latest work features Gimli son of Glóin, the mighty and jovial dwarf warrior, friend to the elves, lord of the Glittering Caves and president of the Galadriel fan club. 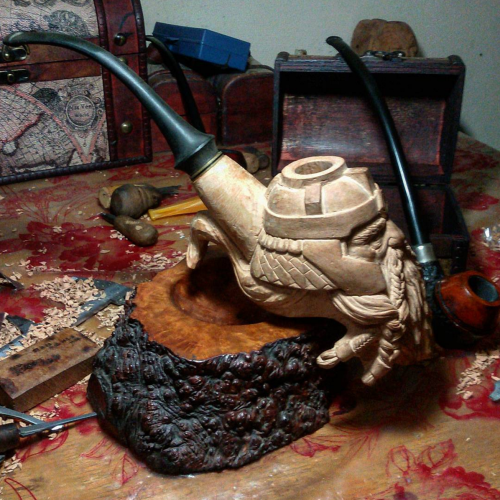 The pipe can be yours for a mere US$2,500. 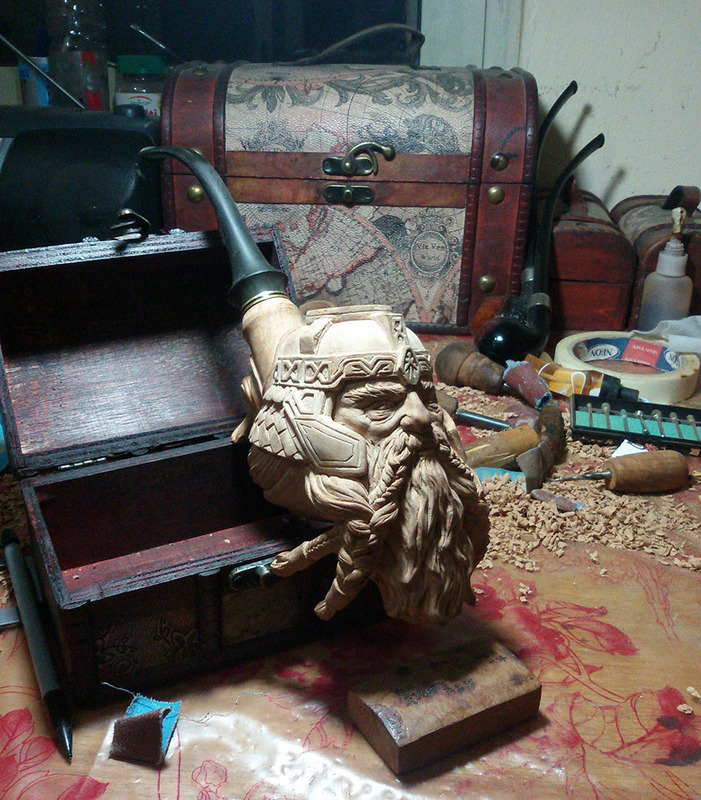 SVpipedesign is currently working a pipe shaped like the head of Gandalf the Grey.